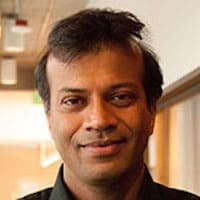 Anurag Mairal is a consulting associate professor at Stanford and executive vice president at Orbees Medical. Between January 2013 and February 2015 he was the global program leader of the Technology Solutions Program at PATH. He earned a Ph.D. in chemical engineering from the University of Colorado at Boulder and a master’s in business administration from the University of California at Berkeley. He also holds a master’s in chemical engineering from the Indian Institution of Technology in Mumbai and a bachelor’s in chemical engineering from National Institute of Technology, Raipur. An associate professor at Stanford spent two years as the global program leader of PATH’s Technology Solutions Program, and says the experience helped redefine what innovation means to him.